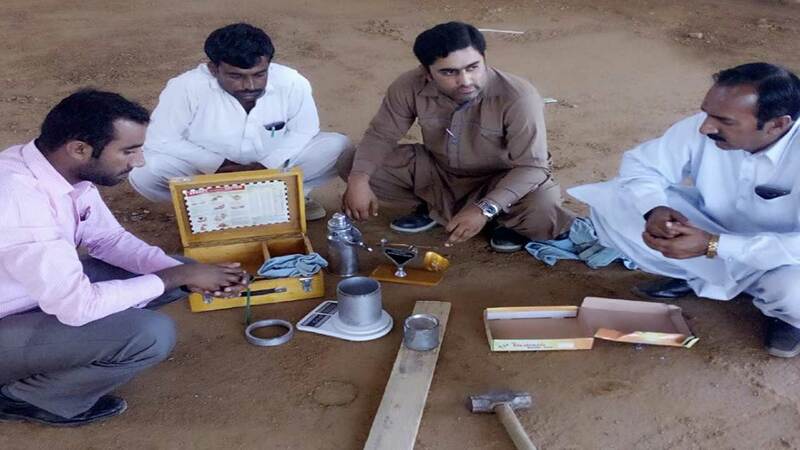 Determination of Field Density Test of Soil by Core Cutter Method. In this article, you’ll learn the Determination of Field Density Test of Soil by Core Cutter Method. Care Cutter method of determining field density. Q & A about Field Density Test by Core Cutter Method. Core Cutter Method of Field Density test is conducted in the field to know whether the specified compaction is achieved or not. 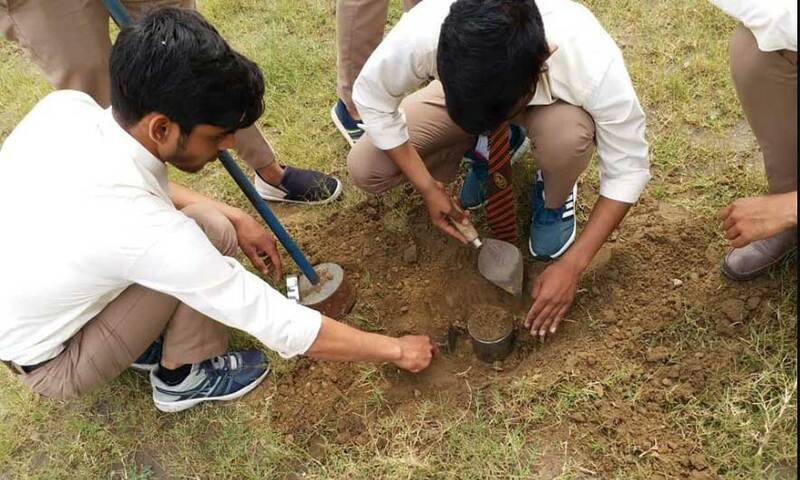 In certain cases, it is necessary to determine the density of soil either as it exists naturally in the ground or as it may be compacted in the fill. In the former case, this density of soil in place may be used to estimate the comparative strength of the soil. In the latter case, it may be used to document the results of field compaction to meet contract specifications. The principal use of the in-place soil density test is in the documentation of field compaction. the optimum moisture content and design shear strength, resistance to future settlement, and permeability characteristics. in place soil, the density tests must be performed in the field on compacted soil. There are several methods for determining the density of soil in place, i.e., Sand Replacement Method, Core Cutter Method. However, here we will discuss Core Cutter Method of Determining Field Density. This method is comparatively accurate one in this method a core cutter (cylinder with cutting edge) is pushed into the ground with rammer blows. The cutter is then dug out of the ground, any soil protruding from its ends is trimmed off so that the volume of the soil contained within it is just equal to its own volume. The weight of the soil completely filling the core cutter is then determined by direct weighing, and the moisture content of the soil is determined by running moisture content test. Wet density and the dry density of the soil is then computed. . This method is suitable for soils having cohesion and free from gravels, boulders, and cobbles. γ = weight of soil/volume of mold. Read Also: Specific Gravity of Soil Test by Pycnometer Method. 1. Core Cutter apparatus consisting of steel cutter, 10 cm (4″) in diameter and 12.7 cm (5″) high. 2. Steel Dolley / collar, 2.5 cm high. 6. Balances sensitive to 1 gm & 0.1 gm. 1. Measure the inside dimension of the cutter and calculate its volume. If not already known. 2. Weigh the cutter without the dolly. 3. Clean and level the site. Place the dolly over the cutter and ram it gently into the soil until about 1 cm of the dolly remains unfilled. 4. Dig out the cutter containing the soil from the ground. Remove the dolly and trim off soil extruding from the ends. 5. Weigh the cutter full of soil. 6. Take a sample of the excavated soil in the weighed moisture container and place it in the oven for water content determination. Depth of core cutter, (h). 15 cm. Volume of core cutter, (V). 1178.25 c.c. Weight of core cutter. 1700 gm. Weight of core cutter + wet soil. 3300 gm. Weight of excavated soil, (w). 1600 gm. Bulk density of soil = (γ=w/v). 1.352 gm/c.c. Weight of container. 15.5 gm. Weight of container + wet soil. 25.3 gm. Weight of container + dry soil. 24.1 gm. Weight of Water. 1.2 gm. Weight of dry soil. 8.6 gm. Water Content, (m.c). 13 %. The field dry density of the soil is 1.20 gm/c.c. 1. No stroke should be applied on the soil inside the core cutter. 2. Apply the strokes on the collar. 3. No soil should fall down from the core cutter before weighing it. 4. Edges of the core cutter should be leveled with a straight edge, and there should not be any cavity in the soil. Q.1: What is the range of thickness of fill layer in the preparation of embankment? Ans: The thickness of fill layer of embankment should be equal to the thickness of core cutter. Q.2: Which method is more accurate between core cutter and sand replacement method to determine field density of soil? Ans: Core Cutter method of determining field density of soil is comparatively accurate one. Read Also: Liquid Limit Test of Soil by Casagrande Method.